Work for preparing Detailed Project Report (DPR) for the Tamil Nadu Defense Corridor has been initiated by Department of Defense Production in the Defense Ministry recently. The Department will engage a top consultancy firm to draw up the DPR for the Corridor. 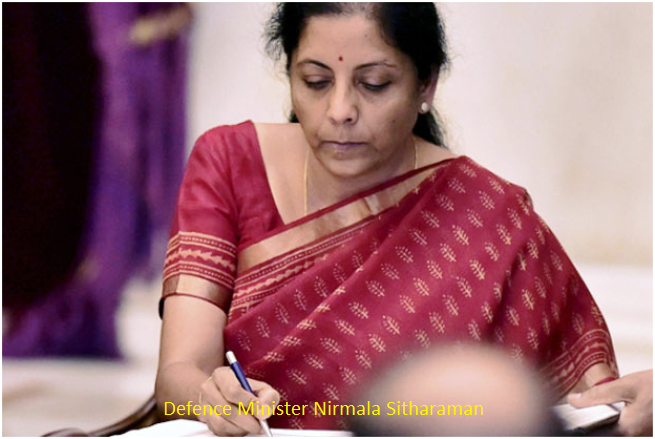 Minister Nirmala Sitaraman has initiated the move to set up the Corridor, the first possible major Central investment in the state after several years. Finance Minister Arun Jaitley in the Budget 2018-19 announced setting up of two Defence Production Corridors in the country in his budget speech in the Lok Sabha a month ago, The centre has decided that one of the Defense Production Corridors will be set up in Tamil Nadu. The corridor, which is organized as a quadrilateral will extend from Chennai, Hosur, Coimbatore, Salem and Tiruchirappalli. It is therefore called the Tamil Nadu Defense Quad. It is expected that with government opening up new opportunities for industry in defense sector, the Tamil Nadu Defence Quad will provide a major opportunity to the vibrant manufacturing sector in the State. Further, to ensure that the expectations of local industry, especially MSMEs is incorporated, to the extent appropriate, in the proposed development of the Quad, the MoD has initiated an exercise of industry interactions at all nodal points for the Quad, namely Chennai, Hosur, Coimbatore, Salem and Tiruchirappalli. These interactions will involve senior officers from MoD, representatives of Hindustan Aeronautics Ltd., Bharat Electronics Ltd., Bharat Earth Movers Ltd. and Ordnance Factories. These interactions are being organized with the active participation of the local Small Scale Industries Associations and the State Government representatives. The interaction has already begun with the first one held at Hosur on February 26th, 2018. The dates for other interactions are as follows: Coimbatore on March 5th, Salem on March 7th and Chennai on March 10th. The dates for Tiruchirappalli will be announced separately. All industrialists interested in defense sector are invited to participate in these interactions and provide inputs for shaping the contours of the proposed plan for Tamil Nadu Defense Corridor.